4-1-19 Well, it is here-trails are officially closed! We had the best snow fall in many years!! If riding on state land, know where private property starts!! 3-21-19 Well, grader went by today with wing out, cutting back banks and putting slop where our trail is along Rogers City connector. I am guessing they are have/going to cut back banks everywhere, so every where we are close to or cross a road, banks will have been cut back, making it harder to get to trail. Imagine there is still snow in woods, but getting there may be les than ideal, corners may be icy. Our season still has 10 days or so to go, so expect spring riding! 3-17-19 Our groomers were out last night grooming trails 99/990, 99/994 and 9 north from Millersburg to Mann Rd. Road along trail 996 toward rogers City and trail looks nice and flat. In the open areas on roads, looks bare so be prepared for spring riding!! 3-14-19 Is it over? Is 55 degrees north of Rogers City with puddles of water sitting on snow covered surfaces! Is a skating rink out there!! Is supposed to cool down, but that will allow those puddles to freeze, so maybe icy trails! Stay tuned. Our grooming is done for now, can’t groom water and ice. 3-12-19 RR grade from Mann Rd. to Posen was groomed last night-trail 9 north/992 south. Still lot of snow today, don’t know what the warmup/rain this week will do to trail. 3-7-19 RR grade, Millersburg north to Mann Rd. -trail 9 and Rogers City connector-996 were groomed today. Elk Connector-trail 9 south to be groomed tonight. Again, be mineful of logging operations. Ride with caution!! 3-6-19 Silver Creek and Black Mt. were groomed today trail 99/994. Still lots of snow out there!! 3-5-19 Big Cut 990/99, RR grade, Millersburg to Posen 992 and Elk Connector-trail 9 were groomed today. Has been COLD past few days. Looked like logging was starting on Fredrich Rd. today when I drove by. Don’t know if they have actually been on traill or not. Ride with caution in that area and around Dead Cow swamp 990/99 area. Active logging in that area. 3-3-19 Black Mtn. trails 99/994 were groomer last night. Saw a lot of traffic coming into and out of Rogers City yesterday!! Good snow conditions this year!! Enjoy our trails!! 3-2-19 Silver Creek and Big Cut-trails 99/990 groomed last night. 3-1-19 Elk connector-trail 9 and 9 north to Mann Rd. groomed today. 3-1-19 *****CAUTION***** Fredrich Rd. -trail 99- where Rogers City comes onto trail 99, has been plowed for logging. Saw no logging signage when we rode thru there yesterday. DNR has been notified. Use caution when traveling thru that area! Our trails are in really good shape!! 2-26-19 Trails 99/990, 9 south to Elbow Inn and 99/994 Black Mt. were done yesterday and last night. We had freezing rain Sat/Sun night, then warmed some , but what melted again froze! Really a mess!! 2-22-19 Black Mt.-99/994, Elk Connector-trail 9 were groomed yesterday and last night. Should be in really good shape!! 2-20-19 Groomers were out on 990/99 Silver Creek/Big Cut, RR grade-Mann Rd. to Posen-9/992 and part of Silver Creek 99. The plan is to do Black Mt.-99/994 tomorrow. We had breakage on one of our drag, so groomers are doing there best with they have to work with. Would affect trail 996/99/994. Trails are in excellent shape except where there is logging. *****Caution**** Groomer operator that does 990/99 said he met the logging equipment on the trail he was grooming head to head coming around a curb!! Their signage is not in the area they are cutting, so be very careful. Trails are in ok shape in that area, but as it warms up, roads will be mud!! Use extreme caution when riding that part of the trail!! 2-17-19 ****CAUTION— Found out that there will be logging in SW corner of trail 99 and 996. Loggers will be using Fredrich Rd. to exit the area to US 23.****. Our groomers are/have been/will be out today, yesterday and tomorrow to get the trails back in shape after a very busy weekend!!! Our trail stop was an enormous success. Had 200 riders stop in for hot dogs and a warm drink. 2-14-19 Our groomers are all out!! :)))) All trails will be done today, except RC connector that will be done tomorrow. Enjoy all the new snowfall we have gotten!! Looks like from the road, that Rogers City got the most!! 2-12-19 Groomers were out yesterday on Big Cut-99 and 990 Black Mt.99 and 994. Snowing today. Supposed to get lots!! 2-10-19 Our groomers are out!! Big cut, 99 and 990 and Silver Creek 99 were groomer during the night. RR grade 9 and 992 being groomed today. Elk connector 9 will be groomed today and tomorrow. A reminder that under the snow on the trail is ice! One driver started sliding down a hill backwards while trying to go up a hill, so watch out for ice!! Always ride right-on your side of the trail!!! Safety first!! 2-9-19 Our tractor is fixed, they groomed Black Mt.-99 ,994 and Rogers City Connector-996 today, so all trails have been groomed the last few days. On Black Mtn. operator said there were balls of frozen, icy snow so be on the lookout for these. We have had sleet and freezing rain the last few days. 2-6-19 Trails 990, 9, 99 were groomed yesterday. Our JDeere had a broken hitch on drag, so haven’t heard if it is fixed or not. If not, assuming Black Mt. wasn’t done yesterday. Weather is calling for sleet and freezing rain today. So far, north of Rogers City we are having light snow. We did have 3 inches of snow Tues. night. 2/3/19 Mother nature sure is throwing us a curve ball!! At my house north of Rogers City it is 42.6 degrees!!!!! Saw the groomer go by last eve., so I know Rogers City connector-trail 996 was groomed. Haven’t heard from other groomers yet. 1/30/19 Brrr!!!!! Is certainly cold out with a breeze. North of Rogers City it is currently 5.5 degrees! Good day to stay inside. Groomers are out though. Big Cut-trail 990 and 99,Silver Creek-trail 99 and Black Mtn.-trail 99 and 994 being done today. Elk connector -trail 9 and rail grade-trail 99 and 992 were done yesterday. Drifts on rail grade!! Our club is having a trail stop on Feb. 16 from 11 am to 2 pm. at our groomer barn in Millersburg. We are just off the trail and there will be signs directing riders to our barn. Come and enjoy hot dogs and a warm drink! 1-29-19 Yes we did get snow and it blew around!! May encounter drifts if our before the groomers are! Remember groomers have the right of way. Don’t expect them to get out of your way-our equipment doesn’t move as fast as your sled does. ALWAYS ride on the right ide of the trail, someone coming toward you may be using the middle-usually not enough room for both sleds to ride the middle. 1-27 Groomers were out las t night. Groomed Big Cut-trail 99 and 990 and part of Silver Creek-trail 99 before had mechanical problems with the drag. It is in the shop getting fixed as we speak. Still having below temps at night and into upper single digits during the day! Predication of accumulation today and into tomorrow night. Will see what we actually get!! 1-24-19 Groomers are out!!!!! Elk connector-trail 9 south was groomed last night. Today groomers are out on trail 990 and 99-Big Cut, trail 99-Sliver Creek, trail 99 and 994-Black Mtn. and trail 9 North to Mann rd. 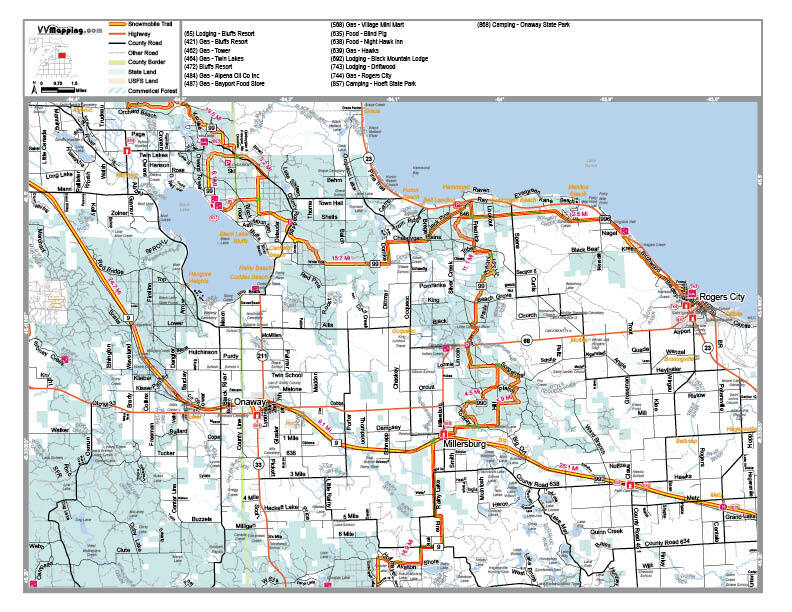 Trail 996-Rogers City connector will be groomed tomorrow. Going to update base since we did have snow yesterday and last night with more predicted today!! Predicting cold temps. again over the weekend. Have had sleds riding the road on CO. RD. 646. Not allowed!!!. Trail on West/North side of road. Groomers have the right of way on all trails!!!. Move to side of and stop when approaching a groomer. They generally stop and will wave you buy if there is enough room to so that. Your side of the trail is the right side, just like on a highway. Stay right!! 1-21-2019 BRRRRRRR!!!!!!! Has been cold with little new snow. Remember it is still early season riding! There may be ice in the corners. 1-10-19. Groomer guys were out today to continue to build a base. Areas not groomed/panned is the Elk Connector-trail 9 south toward Elbow inn and the Rogers City connector 996. The Elk connector will be done tomorrow. Snow conditions vary from area to area. Still early season conditions/riding in a lot of places. Reported there are a few wet spots on the Black Mt. connector. Still need snow, but hopefully we are getting a good start on building a base. were all over the place. Not all areas got 8″ of snow!! Big cut- trail 990 and 99, Silver Creek-trail 99 to Black Mtn. and 994 around the Mt. and trail 9 N. to Mann Rd., were the areas groomed today. Tomorrow the guys will do 992 to Posen (railroad grade) S. on trail 9 (Elk Connector). You are reminded that conditions are early season riding!! Stay alert for changes in the trails. PLEASE remember the groomer has the right of way!!!! Yea, we did get snow last night!! So it is a start!! We will really have a white Christmas!! Still no snow! In fact, the rain we had today will surely take more snow off the trail! Snow is predicted later this week and/or early next week, but sure it won’t be enough to make the trails rideable. Well, still not enough snow to do anything with the trails! A few of our club members were in the UP over the weekend for meetings and did ride on Friday. It certainly was early season riding! We have had some snow the last few days, but still not enough for the club to do anything with! Stay tuned. WOW!! Almost time to hit the trails!! Trails officially open tomorrow! But alas, not enough snow. Rogers City area got just a little more than a dusting. Will keep you updated as snow conditions improve. Yes, Rogers City area did get snow, but remember that the trails aren’t open til Dec. 1. Or guys have been hard at work brushing the trails. Presently, they are getting tractors serviced for the winter! Will try to keep you up to date on snow falls and conditions!! Happy Thanksgiving to all!! Summer went fast, but that means our club has started with trail maintenance! Crews have been out severall times. We have a new brush cutter, so it is working well. 3-31- Well guess it is over. Season officially ends tonight at midnight! Now a great season, but those are the cards dealt to us! Gates are closed and locked! Please respect our private land owners and stay off trail. Encourage your ATV friends to do the same. 3-20-We still have snow on the ground, but thinking the trails will be getting bare, especially where out in the open. Am thinking this will be my last post as the season is officially over in 11 days. Road grader with wing out has gone down both sides of Rogers City connector-Co. Rd. 646 (trail 996) and has destroyed the groomed trail, but has left a flat surface that looks like it could be ridden on! 3-8-Guess some of club members went riding and had trouble going up hills because of the ice and the snow isn’t great for grooming and the temps in high 20’s and 30’s, won’t be grooming like they would like to be doing!! We didn’t get the 11 inches of snow that was predicted. 3-7-Snow back on trails. See where club has groomers going out. Will report where they go when I get their report. Supposed to get more snow tonight. Guess someone was doing the snow dance!!!!!! 3-2 No snow since I don’t remember when!! Our trails are pretty well shot! Stay tuned. 2-20 Woe is me!!!. We are having rain off and on today as well as the freezing drizzle we had earlier this am! Trees are covered in ice, but weatherman predicts temps later in 40’s!!!!! Our poor trails-what the rain doesn’t change, the warmer weather will. Stayed tuned!!!! Am guessing on the snow base> Some places it may be gone and others may still have a few inches. Ride accordingly. 2-15-Looking at blue skies and sunshine, with temp at 42 degrees. Yesterday at out place north of Rogers City, it got up to 49 degrees. Can’t be good for our trails, so be alert when riding, some spots may be getting down to dirt!! Bad Mother Nature!!!!!! 2-13 At the end of today, all our trails will be groomed except for Rogers /City connector. 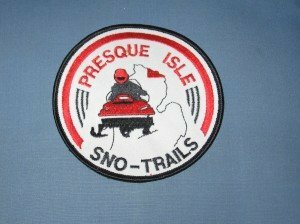 2-11 Report from club president that all trails were groomed in the last few days. We are getting some snow now, not very heavy and is a fine snow! 2-8 Black Mt. (trail 994 and 99) was groomer yesterday (2-7). Driver said there was maybe 6″ of base, but as you get closer to Ocqueoc E.on 99, snow gets thinner. So base will go from 3-6″ along the way. 2-7 Grade (trail 9) groomed yesterday (2-6) and trail 996 was groomed yesterday as well. 2-6- Had snow on Sat. and Sunday, Trails were good on Sunday, not a lot of traffic. Groomer went out Mon. 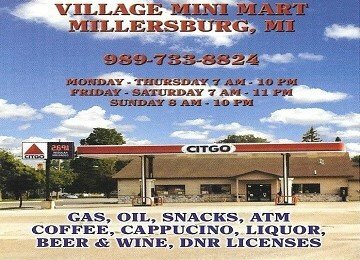 (1-5) and groomed from Millersburg to Posen on rail grade -trail 992. At our club meeting last night, groomers said they are going to groom Rogers City connector today. Rogers City area did get freezing rain Mom-Tues am! Today (1-26) temp is 37 degrees, so hopefully the freezing rain that coated everything with ice will melt or at least start to melt!! Temps sure won’t help the trails though. Where is our snow????!!!!!!! 1-22-Good news/bad news-we are getting snow, just don’t know now how much and if it will help the trails. We must have had some freezing rain and/or sleet during the night sometime. Is a crust on snow. Stayed tuned for condition changes! 1-16-Had may e2-3 inches of sn0w north of Rogers City. Don’t know how far inland it went. News tonight says we are going to have temps. in 30’s later this week and into next week! Guessing riding will be at a standstill in our area!! 1-14-18 Still not grooming-not enough snow. Where the trail softened up, there are ruts that are now icy!! 1-11-18-Grooming has stopped until weather changes and we get snow!!. It is 42 right now, north of Rogers City. Must be our February thaw!! 1-7-18-Groomer out on Black Mt. (99 & 994) also part of Silver Creek (99). Groomer was out on rail grade from Mann RD. North (9) south to Posen (992). More snow toward Posen. Groomer was out today on 990 and 99 N. to Cheboygan Plains Rd. Groomers were out yesterday (1-2-18) and did 990,99 and 994 which is east side of Black Mountain. Groomers have been out on railroad grade (9) from Millersburg north to Mann Rd., Big Cut (trails 990 and 99). Also on Rogers connector (trail 996). Not quite enough snow to completely fill ditches yet. We got snow!! At least north of Rogers City. Haven’t heard from any groomers yet. (12-30). A little late in reporting but have to get drivers in the habit of reporting in a timely manner!! New drivers, new season. On Wed. (12-27) all trails had been groomer! A reminder trails are in early season condition. Need more snow to get them in tip top condition. MSA has had many calls about trespassing over the last weekend, December 15-16-17. This is way too many for the first good snowmobiling in many Decembers! Farm fields are not open unless permission has been granted by the land owner. Contrary to some beliefs snowmobiles are not allowed on power lines, gas lines or other utility corridors unless it is a marked groomed trail! If that is the case, the Grant Sponsor has been granted permission to have the trail there. In some instances, if the land is owned by the State of Michigan, you can ride there, but don’t assume if it is owned by the National Forest that applies also. It DOES not, and you will be ticketed. We know that boondocking has become a big hit with many snowmobilers, but if you are going to boondock, it’s your responsibility to KNOW WHERE YOU ARE! Trespassing will hurt the program. If you want to insure a place to ride other that your backyard or a loop on state property, “KNOW BEFORE YOU GO.” Just because you see a track do not assume that you are legal to ride there! In this early season stay off any ice, and please don’t drink and ride! Boy, mother nature is sure playing with us!! It is 40 out as I write this and snow is melting!!! 🙁 What snow we had on trails will be down to nothing. Think snow is in forecast and colder temps., so maybe things will change. Watch out for changing ice conditions!! Ice will be getting thin!! You may be finding more ATV’S, ORV’S and side-by-sides on the trails. We don’t necessary like it, but it may be happening!! Could be making dangerous conditions on the trail. Our guys are still out clearing the trail from downed trees!! have been having snow, but not packing snow. Be patent with the tree clean-up!!!! Be on lookout for downed trees! Club members went out for 8 hrs., found MANY trees down. Haven’t done the entire trail system, so if you come up on a downed tree and you can move it, help the club out by taking it off the trail. Thanks Trails are officially open, but snow iffy!! 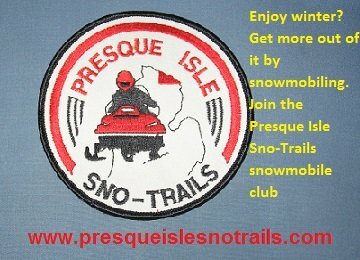 Another reminder, our club now has a website- hover over our club patch and you will go to our site or type in presqueislesnotrails.com. GROOMER HAS RIGHT OF WAY!!!! There are still sledders out there that think a groomer should get off trail so they can pass!! Just look at the size of these rigs and know they can’t and remember, they are out there so that you can have good trails to ride on! Give them a THUMBS up when you pass!!!! !